In the 18th century Protestant missionaries were few and missionary societies fewer. In some Baptist circles, mission itself was not even thought to be very theologically sound. But by the end of the century, this was beginning to change. 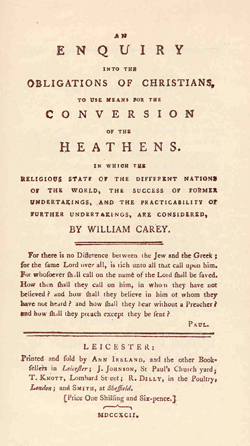 In 1792 shoemaker and pastor William Carey published his pamphlet, ‘An Enquiry into the Obligation of Christians to Use Means for the Conversion of the Heathens’, a survey of the world’s countries and people groups and a call to Christians to engage in mission. Challenged that it was now time to do more than just pray about those without the gospel, a group of ministers in Northamptonshire decided to act together – and on 2 October 1792 they gathered to form “a Society among the Baptists for propagating the gospel among the heathen”. The Baptist Missionary Society, as it soon became known, was born. The following year, William Carey and John Thomas were sent to India to begin the mission work, and their departure was a turning point in the history of Christian mission. They were the first English non-conformists to travel to India with the sole purpose of mission, and they pioneered a pattern of missionary activity that quickly became widespread. UK support, the Serampore Trio and early mission work in India. Missionary work abroad needed strong support from those at home. 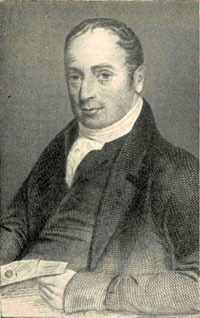 Andrew Fuller, who became the society’s first Secretary, was a tireless and wise leader in the UK, touring the country to promote the missionary cause. The original committee of five soon grew to include representatives from areas in England, Scotland, Wales and Ireland. And it was not long before the committee was able to send new recruits out to India to join William Carey. William Ward and Joshua Marshman and their families arrived in India in 1800 and settled in the Danish colony of Serampore just north of Kolkata. Along with Carey, they were often referred to as the Serampore Trio. The early work in India developed in several areas: preaching and theological teaching; education and the founding of schools; translation and the printing of Bibles and leaflets; campaigning against injustices such as sati and infanticide; and agricultural development. 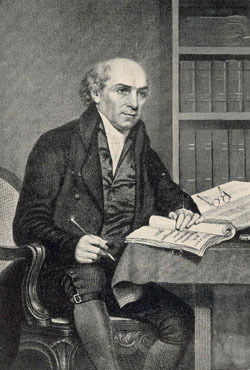 Born in 1761, William Carey became a founding member and pioneer missionary of the Baptist Missionary Society. Working as a shoemaker then pastor in Northamptonshire, Carey wrote and published a pamphlet in 1792, ‘An Enquiry into the Obligation of Christians to Use Means for the Conversion of the Heathens’, surveying the countries of the world and calling Christians to mission. This led, on 2 October 1792, to the formation of the ‘Particular Baptist Society for the Propagation of the Gospel among the Heathen’, later known as the Baptist Missionary Society. 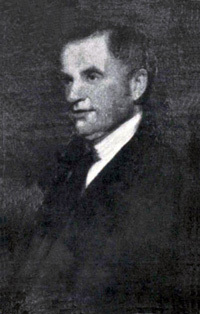 Carey, along with John Thomas, a doctor, volunteered to go to India as a missionary and arrived there in November 1793. From this time until his death in India in 1834, Carey devoted himself to missionary work, Bible translation, campaigning against injustices and theological teaching. He has often been considered ‘the father of modern mission’. Intelligent, yet sometimes overly zealous and stubborn, Joshua Marshman became an integral part of the Serampore Trio – the influential group that formed the BMS mission in India. An educationalist by profession and a keen linguist, Marshman immersed himself in establishing schools and translation work. Joshua’s wife, Hannah, had an equally challenging and important life. It was a life of toil and tragedy, but also of opportunities, achievement and conquest over fear. She was a model example for women missionaries in eras to come. William Carey had sent an urgent request for more missionaries to join him in his work in India. Joshua, Hannah and their two small children, John Clark and Susannah, arrived in Serampore, in Danish territory, on 13 October 1799. Carey, who was then based further north, joined the new missionaries in January 1800 with his family (which consisted of his wife Dorothy and four sons), and announced the foundation of the Serampore Mission. Their group consisted of ten adults and nine children. Hannah’s duties were primarily domestic, and included looking after her own children, as well as the orphaned children of her fellow missionaries who had died. In 1801, Carey was unexpectedly invited to take a teaching post away from Serampore, which left his four children and dependent wife under Hannah’s care in his absence. With Joshua’s previous experience as a teacher, he formed the educational work of the mission, with the view that education was vital for the spread of the gospel. In 1800 the Marshmans started two boarding schools for European boys and girls — a very successful venture, which also brought in much needed income for the work of the mission. Joshua went on to expand the educational work by establishing a network of schools for Bengali children around Serampore. By 1818 there were 92 schools with a total of 10,000 pupils. The years up to 1811 saw expansion of the activities of the Serampore Mission through the development of printing, translation work, preaching and education. During these years the Marshmans lost two more sons in infancy, but had five living children: John, Susannah, Benjamin, Rachel and Hannah. On 12 March 1812 there was a devastating fire in the Serampore Mission Press which resulted in the loss of both property and manuscripts. This had important repercussions though as it encouraged support for the missionary work from abroad. Also, in 1813 the ban on missionaries by the East India Company was lifted. This brought new, young, energetic missionaries to Serampore. However, as they adjusted to the community life and mission strategy set in place by the original missionaries, tensions began to develop. Conflict between the old and new grew, and became large enough to threaten separation. Unfortunately the Marshmans, especially Joshua with his sometimes obstinate nature, became the target of criticism from the new missionaries. I wish I had half his piety, energy of mind, and zeal for the cause of God. These excellencies, in my opinion, so far over-balance all his defects. With the vision for Indian Christians to go as missionaries to their own people, the mission needed a facility to train personnel. Marshman began work on a prospectus for a ‘College for the instruction of Asiatic, Christian and other youth in Eastern Literature and European Science’. Serampore College was built in 1818, and in 1827 it was given the right to confer degrees, although this was not used until 1929. In 1822, Joshua completed his translation of the Bible into Chinese, which he had been working on for 15 years. However, the years 1822-23 also brought a series of tragic events: the Marshman’s eldest daughter, Susannah, died just after giving birth to her third child, a son, who also died; their son-in-law, Henry Williams, was hit hard by his wife’s death and he died in October 1823; William Carey’s eldest son Felix died in 1822; and the youngest of the Serampore trio, William Ward, died in 1823. Also that year floods destroyed Carey’s house and the Marshman’s schoolhouses were heavily damaged. After Ward’s death, Hannah had to take charge of Serampore’s female schools. Besides being affordable for the poor, the female schools taught elementary history, science, geography, Bengali and English grammar as well as training in handicrafts such as knitting and embroidery and scripture knowledge. But the success for these schools was to be short lived. In 1829, the European Agency Houses in Bengal collapsed and thus the Serampore College and mission lost all its funds. The ill will borne by the ‘junior brethren’ against Joshua particularly was still continuing, finally resulting in separation from the Home Committee. These indeed were hard times. In 1836 Joshua’s health began to fail, and in October of that year, tragedy struck again, when their daughter Hannah was nearly burned to death. Joshua never recovered from the shock, and died in December 1837. After her husband’s death, Hannah Marshman lived for a further ten years, in which time she also saw the death of their youngest son, Benjamin, in 1838. However, she still showed an interest in the work of the mission, attending the 7.30 am prayer meeting every Thursday morning and visiting the poor and suffering people in the district. In the last days before Hannah died in 1847, when her daughter asked her if she was afraid, she replied emphatically, “no fears, child, no fears”. She had overcome her fear of a strange country and unknown environment, endured suffering and outlived her contemporaries; a truly remarkable, capable and energetic woman in every way. The story of how a printer from Derby applied his trade and his beliefs to further the kingdom of God across India and beyond. William Ward grew up in 18th century England, and was apprenticed at the age of 13 to a printer and bookseller in Derby. He later went on to become a newspaper editor and then a printer. But his energy was not restricted to his day-job – he became a committed political activist, particularly for the reform of parliament in the early 1790s and the reforms taking place in the early days of the French Revolution. He helped found the ‘Society for Political Information’, and also ran a long campaign for the abolition of the slave trade. Ward’s missionary career started before he was even baptised, due to a chance meeting with William Carey when Ward was visiting friends in London. Carey shared his desire to translate the Bible and invited Ward to join him to get it printed. However, this invitation wasn’t taken up until six years later. After moving to Hull, Ward was baptised in 1796 and went to study for the ministry at Ewood Hall, a theological academy. In 1798 the BMS committee visited Ewood and recruited Ward to join Carey in India to print the Bible in Bengali for the first time. So, in May 1799, Ward sailed for India, along with Joshua and Hannah Marshman, arriving in Serampore four months later. 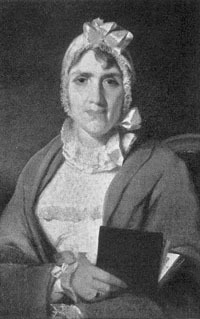 In 1800, Ward married Mrs Fountain, the widow of a missionary colleague who had died suddenly after only nine months of marriage. 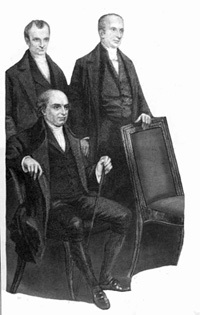 Ward, Marshman and Carey worked closely together for over 20 years in their mission work, and became known as the Serampore Trio. Ward’s main role, apart from preaching, was to oversee the printing office in Serampore. By March 1801 the first bound Bengali New Testament was finished and, after another nine years, Ward reported that the whole Bible had been printed and published in Bengali and large parts of the scriptures in Sanscrit, Orissa, Hindustani, Mahratta, Sikh and Chinese. However, this flourishing work was disastrously brought to a standstill in 1812 when the printing press caught fire. The office was reduced to a shell and many years’ work was destroyed. The day after the fire, Ward searched the ruins, picking out the pieces of equipment that had survived or could be re-moulded. The five presses were untouched, and within a day Ward had scouted out an old warehouse to convert into a new office. The news was relayed back to friends in India, England and America, and within 50 days funds had been raised to counteract any financial loss. Ward was also able to continue exercising the activist in him in India. 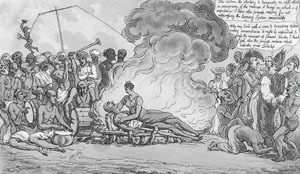 The Trio campaigned against the Hindu practice of Sati (or Suttee), where a widow was burnt alive on the funeral fire with her late husband’s body. To gather evidence of the scale of the atrocity they collected data on the number of occurrences within a 30 mile radius of Calcutta in one year. I have seen three widows, at different times, burnt alive; and had repeated opportunities of being present at similar immolations, but my courage failed me. In 1817 Ward was joined by an assistant, William H Pearce, a printer from Birmingham. Pearce and some other younger missionaries set up a new mission base in Calcutta, and in 1818 he founded the Baptist Mission Press there which became the main location for the printing work when the Serampore Press closed in 1837. Ward was also instrumental in helping to establish Serampore College, the first university in India for Indians, and published a ground-breaking study on the Hindu religion. He was active in sharing news of the work of the mission and visited Baptists in Britain and America, gathering support for the missionaries’ campaigns for schooling for Indian girls, to end Sati and to develop the new college. To a people like these poor Hindoos, “without hope”, how necessary the messages of mercy, the invitations, and promised succours of the gospel! On Thursday 6 March 1823, Ward complained of feeling unwell; he died later the next day of cholera. He was 53. Ward’s work had immeasurable impact. Although his efforts were part of a team, he often gave the impetus to an idea or movement, and many of the results are plain to see: the slave trade was abolished in 1807; scripture was translated and printed in many oriental languages which had never before had this prospect; six years after Ward’s death in 1829 Sati was abolished in India; and in 1832 the Parliamentary Reform Act was passed. In the commission given by our Lord to his disciples, what an immense field did he open for the exercise of Christian philanthropy and heroic enterprise!